At First Mennonite we believe that we are all a part of a story - God's story. God's story is one of creation and re-creation, of covenant and compassion, of struggle and rejection, and of redemption and restoration. God invites us to be a part of this story, and so we learn that God's story is our story too. ​Our mission at First Mennonite is to follow Jesus in our daily lives, acting with kindness, justice, and mercy; to grow and mature in our faith; and to carry the good news of God's healing and hope into our world. 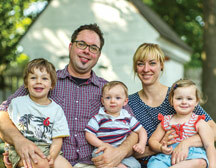 Brett began as pastor of First Mennonite in June of 2011. He grew up on a farm near Elbing, Kansas and decided to pursue church ministry while in college. He met and married his wife Cassie while living in Henderson, Nebraska. The two of them participated in a year of mission work in Venezuela before attending Graduate school together at Eastern Mennonite University in Harrisonburg, Virginia. 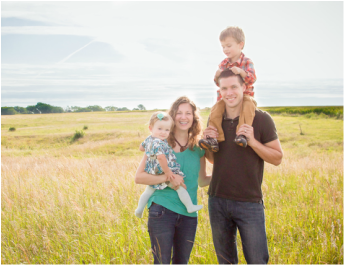 Brett and his wife Cassie and their three young children live on a small farm near Beatrice. Brett enjoys raising livestock, drinking coffee, and exploring the outdoors with his family. Mennonites are Anabaptists, a Christian movement that believes we are called to follow Jesus's example in our lives, and to participate in Jesus's ministry of bringing peace and justice to our world. 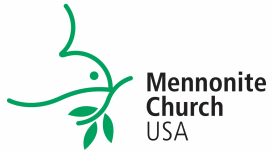 First Mennonite Church is a part of a larger body of Mennonite congregations, Mennonite Church USA. ​For more about MC USA and the Mennonite faith, please visit the MC USA website mennoniteusa.org. 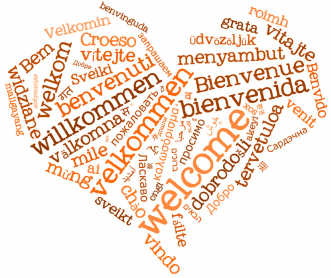 For more information about Mennonite congregations around the world, check out the Mennonite World Conference.